Thank you for your interest in support of the Meals On Wheels Delaware. To help you facilitate a gift of stock, please use the following instructions. If you have a specific question, please contact us at 302-656-3257. There are two common methods of gifting securities to the Meals On Wheels Delaware. The first is electronic transfer through which your broker can transfer shares using the MOWD DTC number. The other is physically mailing the paper certificates to Meals On Wheels Delaware. Either method is acceptable, but it is necessary for you to contact your broker to initiate the transfer. The policy of Meals On Wheels Delaware is to liquidate stock/securities upon receipt. Contact your broker and let them know you want to donate stock. They should call Anne in the Meals On Wheels office on 302-250-4035 to get account information for the transfer. 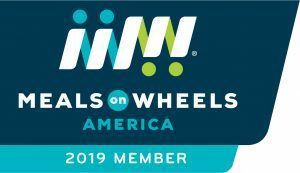 NOTE: Certificates already registered in the name of the Meals On Wheels do not require either the stock waiver or stock power for execution of the transfer.